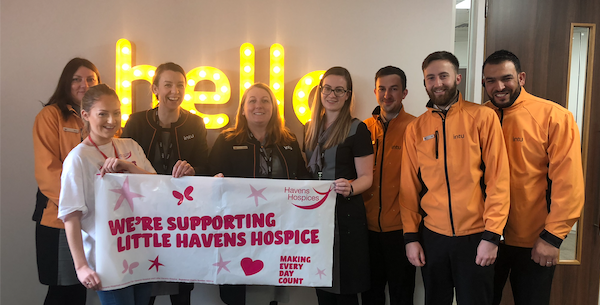 On Saturday 9th February, intu Lakeside in Thurrock will be raising funds for Little Havens Hospice, which is the only place in Essex wholly dedicated to caring for youngsters aged 0 – 19 with life-limiting illnesses. 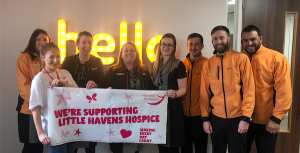 Lakeside announced that Little Havens will be its charity partner for the next 18 months and it will be holding several events and fundraisers for the charity which helps families when they are told that there is no cure for their child’s illness. Little Havens is there to make the journey as comfortable as possible, controlling pain and medication, offering respite and caring for babies, children and teenagers at the end of their lives. This specialist care is free – for as long as is needed – within the family home and at the hospice in Thundersley. Volunteers from Little Havens will be at the centre on Saturday with a ‘I Love Little Havens’ stand giving children the chance to decorate and write messages on love hearts for the children and families who use Little Havens. These hearts will be displayed at the shopping centre before heading to the hospice on Valentine’s Day. They will also be holding a Chocolate and Flower raffle. Little Havens Community Fundraiser, Charlotte Winder said, “We’re really looking forward to joining the staff and customers at Lakeside on Saturday. Little Havens can only exist because of the generosity of our supporters – we must raise over £46,000 every week to be there for every child that needs us – so having the support of intu Lakeside is amazing.